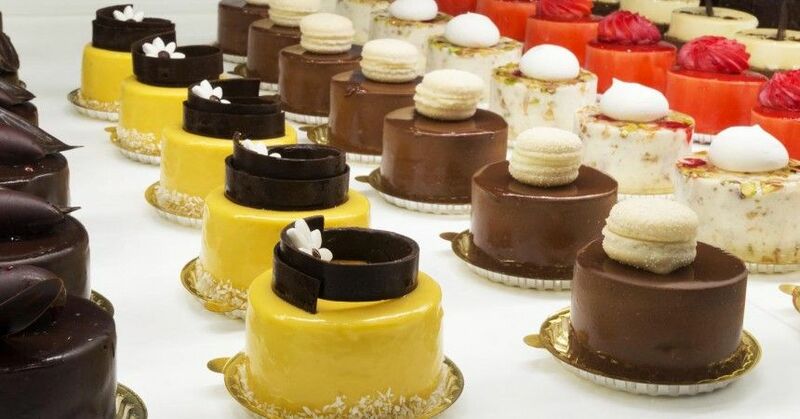 Patisserie that specializes in pastries and sweet is a blend of French and Belgian bakery. In both of these countries the patissier is a master chef who has undergone a lengthy training process mainly a set of written examination followed by an apprenticeship. Patisseries are a common sight in towns and villages in both of these countries. During the 19th century hotel building and tourism increased in Paris, which gave foundations to the café culture in Paris. These years Paris also expanded on shopping centers to provide clean and safe atmosphere for tourists to shop. Patisserie sector showed growth as well. In the 20th century businesses that are now well known opened and expanded with shops all around the globe. However patisseries in Paris are independent and unique treasuring the wealth of history behind them. French patisserie back in the day was famous for the chocolate éclair, the vanilla or raspberry flavored macaroon, the classic French apple tart or the mille-feuille. The heart and soul of French pastry is undoubtedly the croissant. Croissant is after all the simplest yet the most delicious pastry with layers of flaky, buttery pastry and a crispy layer outside. Food historians have debated about the origins of croissant: it is truly a French pastry or is it Viennese. The earliest story of croissant started from 1683 Vienna, Austria. A similar story took place in Budapest Hungary. The French queen wasn’t born in France she arrived at the age of 15 from Austria. She missed the Austrian specialty called the kipfel and requested the royal bakers to attempt a version. Another tale is of August Zang an Austrian artillery officer who pioneered the Viennese Bakery in Paris during the 1800’s. Most food historians agree that he is the most likely one to have introduced the kipfel to France. The first printed recipe of the croissant did not appear until Joseph Favre’s Dictionnaire universel de cuisine, which published a recipe containing powdered almonds and sugar that were similar to Middle Eastern pastry. Right after this publication Auguste Colombie published the true croissant recipe that we eat today. Croissants are now one of the most popular pastries in French bakery tradition. Among the kind of croissants the butter one, not to be confused with the one made with margarine is the most famous.